The Growing Leaders section of MAFES Discovers features students engaged in projects and initiatives that foster leadership in research, teaching, and service. Jonathan D. “Johnny” Richwine, who is pursuing a master’s degree in agronomy, recently took first-place honors in the Emerging Scientist Competition of the American Forage and Grassland Council. Richwine is a University of Tennessee at Martin agribusiness graduate. He will complete the MSU master’s degree program in December. Richwine, whose academic emphasis is native grasses and biofuels, won for his oral presentation on Southeastern wildrye, a cool-season native grass. 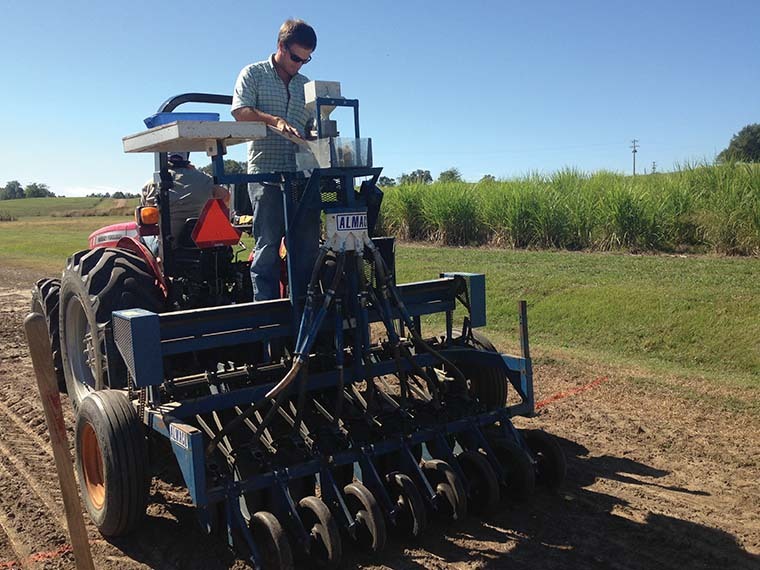 Brian Baldwin, a professor in the plant and soil sciences department who directs Richwine’s graduate work, said the student is helping map uncharted research territory. “This is some of the first research on cool-season native grasses and wildrye, in particular, is the first cool-season native grass that has been explored as a forage,” Baldwin emphasized.